Sam is a very stoic cat who prefers being left alone. Sam gets very nervous and anxious with a lot of people around. 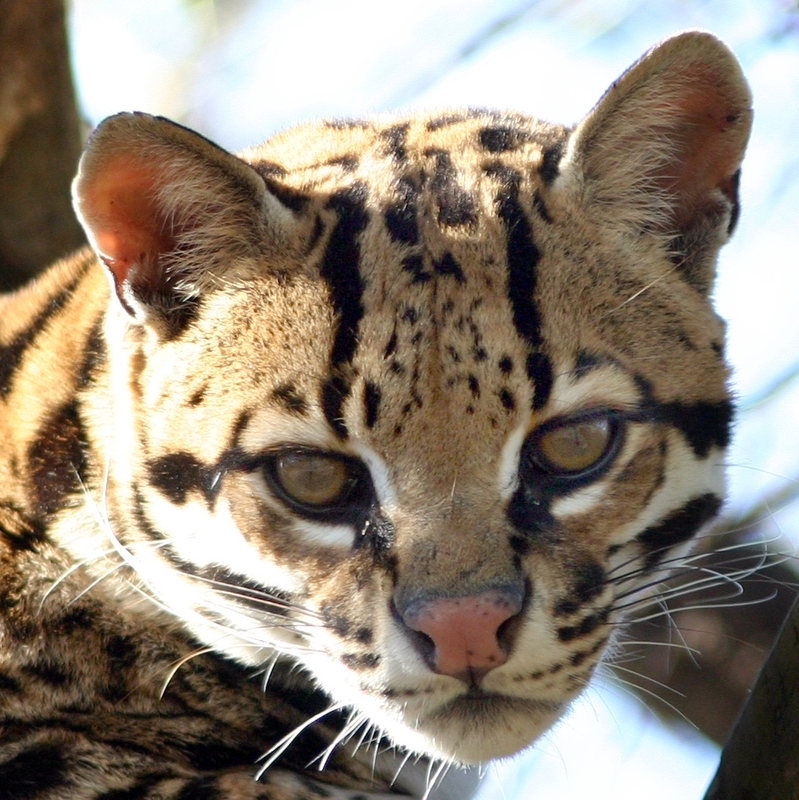 He does not enjoy enrichment or treats as much as the other ocelots in the sanctuary but that is what some people love about him, his independent nature. If one is creative and patient enough with enrichment Sam may pay them a quick visit to check it out, but will often retreat quickly back up to his favorite branch. 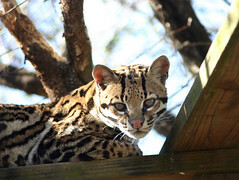 Sam born as part of Carolina Tiger Rescue’s former breeding program. 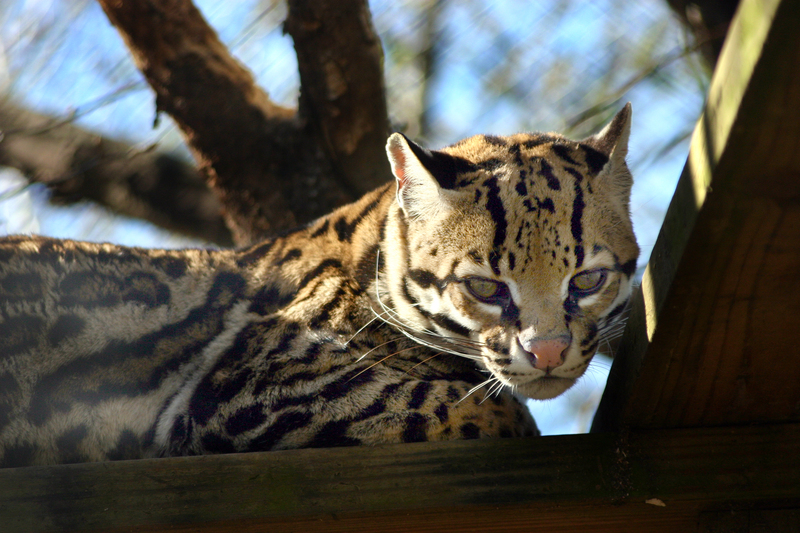 Carolina Tiger Rescue, formally Carnivore Preservation Trust, was originally founded to breed keystone species in hopes of one day releasing them into a safe environment but that day never came. Our animals who were born here will remain here as their permanent home. 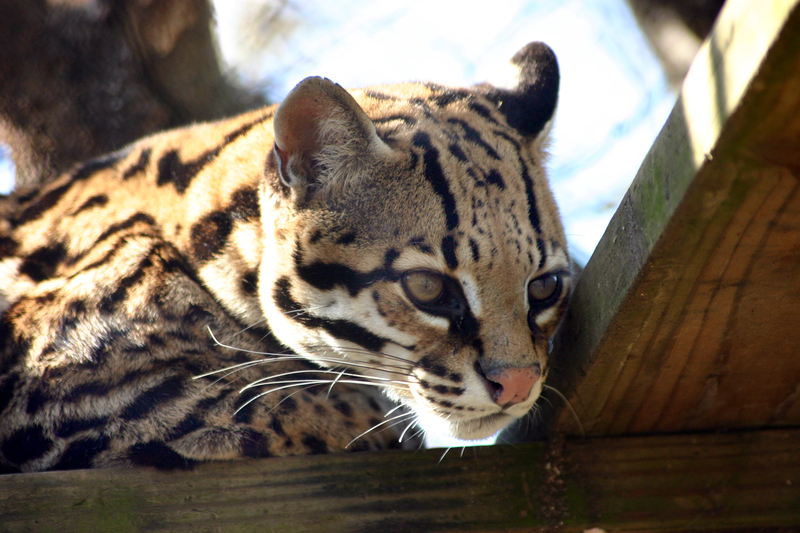 Sam is a very serious ocelot who does not like a lot of noise or excitement. 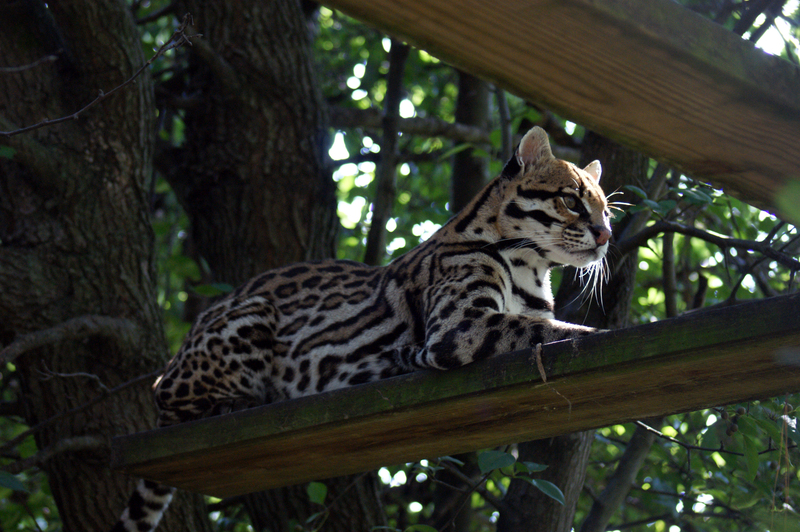 He prefers to spend his days up in his favorite tree, lounging, watching, and listening on the sidelines to what is going on in the sanctuary. Sam does at times become very nervous with lots of commotion and will start to pace, which is why he is off tour. 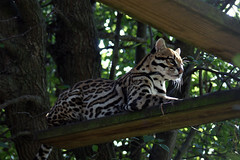 Sam is a very muscular ocelot, who can often be found up on his favorite tree branch. Sam’s has a few dark freckles on his darker pink nose, and it is outlined in black. Sam is located on Elm Grove across the path from Trapper. Sam prefers to be away from the action of the sanctuary therefore he is not on the tour path. 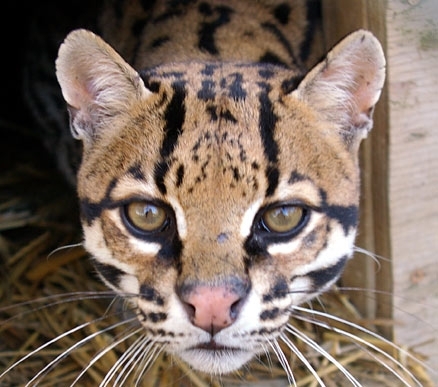 In the late 1990's Carolina Tiger Rescue, formally Carnivore Preservation Trust, decided that we were no longer going to breed due to the number of accredited facilities that were abiding by the Species Survival Plan. 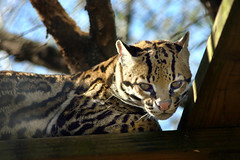 The Species Survival Plan was set up to ensure that breeding in captivity was only being done to conserve a species. This helped limit needless breeding and helps prevent a surplus of animals living in captivity. Carolina Tiger Rescue only supports breeding in captivity if it is done in accordance with the Species Survival Plan.